Looking for lawn mowing services in North Lakes? Would you like us to organise the mow for you? Great, can do! Try out our fun online booking process today and we’ll give you an instant price. We’ll then handle it from there, taking out all the hassles associated with arranging someone to mow your lawn. We’ll then organise for one of our trusted providers to come out and complete the job for you. It’s that simple. At GreenSocks we are the uber of lawn mowing. Let us make it an enjoyable experience for you. Why Do People Drive To North Lakes? North Lakes is a relatively new suburb located approximately 26km north of Brisbane’s CBD. It’s an attractive Brisbane location for families because it’s the kind of place where you can grab yourself a modern home with a traditional Aussie lawn and backyard, within easy reach of Brisbane city. Ever since this American giant opened its North Lakes doors in May 2014, residents all over Brisbane and the Moreton Bay region, the Sunshine Coast and Gold Coast, Ipswich and even further afield have willingly jumped in the car to drive to North Lakes, pay their annual $60 membership, stock up on the warehouse savings, and return (sometimes ride-sharing with friends, family and neighbours) regularly. 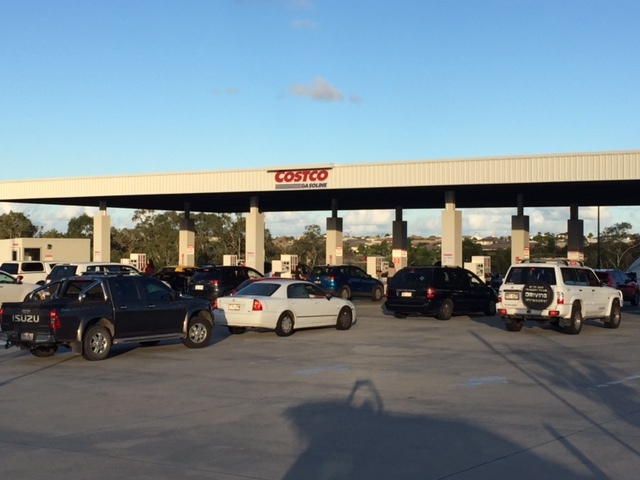 Costco also offers a discount petrol station where prices are typically 10-20 cents cheaper per litre of unleaded fuel. 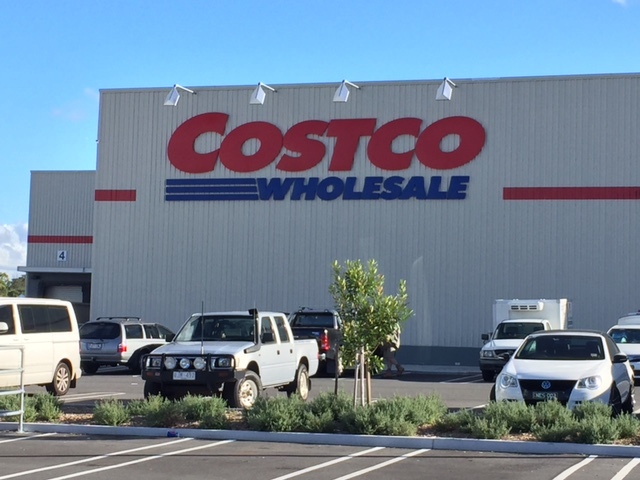 So if you live in North Lakes or visit Costco often, you can probably save back your $60 just in petrol discounts alone. The biggest and best place to shop in North Lakes is at Westfield North Lakes, which is home to nearly 200 stores and can be seen from the M1 freeway. Keen shoppers drive here from Redcliffe, Caboolture and the Sunshine Coast. With another 100 stores and a restaurant complex expected to open in 2016, it’s certain to tempt even more people to drive to North Lakes to spend, spend, spend! 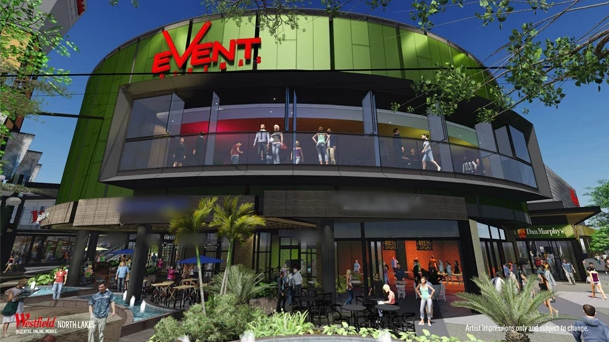 Event Cinemas at North Lakes is now open with Gold Class and Vmax auditoriums it makes it an even more desirable place to visit. Skip the mowing and cool down whilst enjoying a latest release movie. These two home improvement superpowers need no introduction. And you might even have one in your own suburb. But not many suburbs have both (so you can compare your new lawn mower options without having to travel back and forth long distances between the two stores) – so that’s another why people drive to North Lakes. 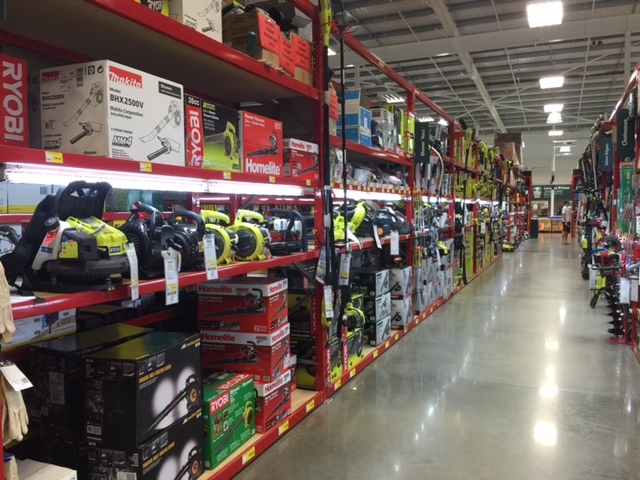 For example, at the time of writing, Bunnings North Lakes stocked Victa, Toro, Masport, Ozito and Ryobi lawn mowers. Whereas Masters North Lakes stocked Rover, Wesco, Ego, Black & Decker, TPE, Flymo, 909, Worx and Bosch lawn mowers. 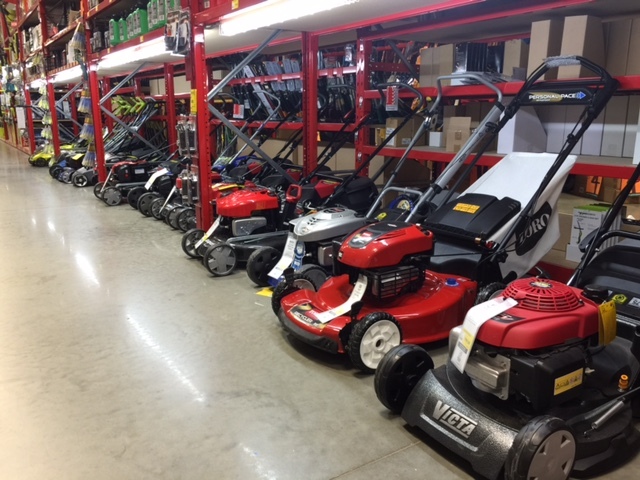 So it’s worth visiting both stores to compare brands and prices – not just for lawn mowers and garden supplies, but for anything you might want for your home and garden. Okay, so we’re a little ahead of ourselves, but we’re betting that as soon as the 28,000sqm IKEA superstore opens in 2016 in Westfield’s stage three development (Dear IKEA, will you sell any Swedish lawn mowers? ), we expect people will drive to North Lakes for this as well. Because right now, to get their IKEA fix from Queensland’s only other IKEA store in Logan (nearly 60km from North Lakes), people are currently driving not just from North Lakes and other north Brisbane suburbs, but from the Sunshine Coast and Gympie. 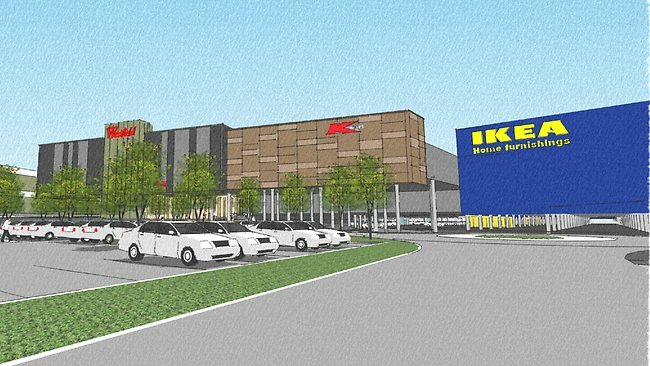 So we’re expecting that as soon as IKEA North Lakes opens, residents north of Brisbane’s CBD will happily trek to North Lakes to stock up on DIY furniture and Swedish meatballs. North Lakes is growing bigger and more popular by the day. Maybe because in addition to its great shopping and parklands, you get to keep your lawn and still easily access Brisbane, Deception Bay, Caboolture, Redcliffe, Kallangur, Morayfield, Brighton and more. Not to mention that it’s only a 45 minute hop, skip and jump up to the beautiful beaches of the Sunshine Coast. What’s not to like about such a great, central location? North Lakes on the map. Thanks to Google.